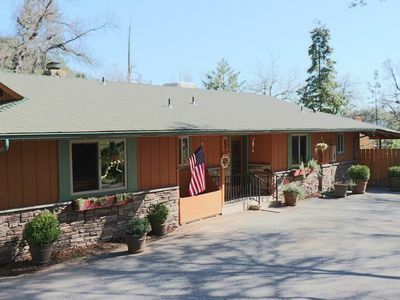 There are 5 bedrooms and 4 1/2 bathrooms, a kitchen with stainless steel appliances, a downstairs den, and even an extra game room with a pool table! 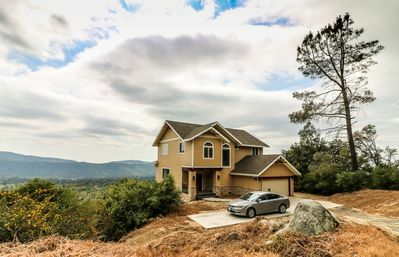 The Master suite with all new alder cabinetry with “honed” black absolute granite countertops and a limestone shower with porcelain flooring. 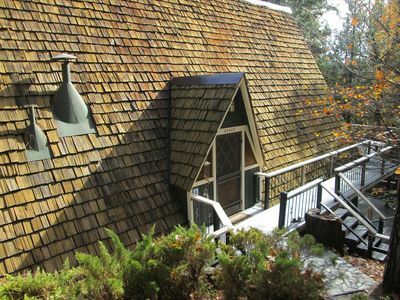 The second master suite also consists of alder cabinetry, stone counters and heleila limestone shower with porcelain flooring. 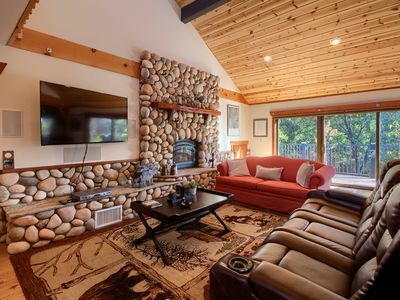 The hallway bath also has been completely remodeled with alder cabinetry, stone counters and heleila limestone shower with porcelain flooring. 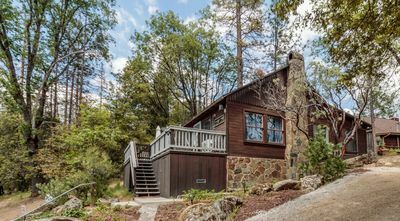 The top floor’s spacious bedroom has its own new half-bath with a suspended vanity with stone countertop and porcelain flooring. 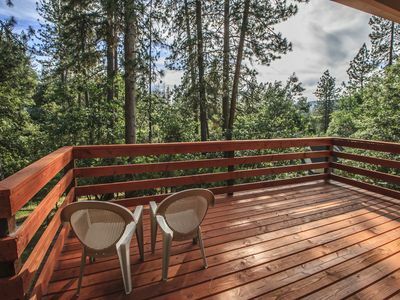 The town of Oakhurst is about 7 miles away, with shopping, restaurants, wine bars, a brew pub, a movie theater, and a live stage theater. 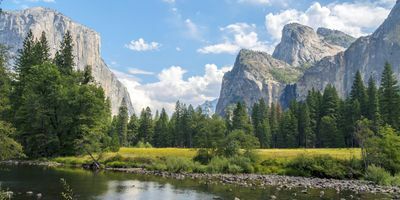 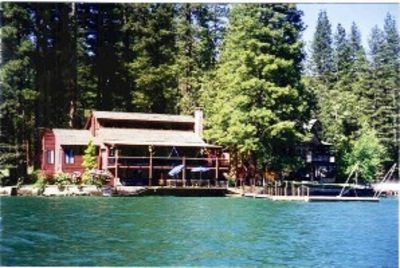 Bass Lake is less than 15 miles to the southern entrance of Yosemite National Park. 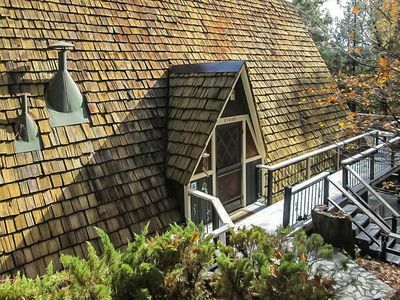 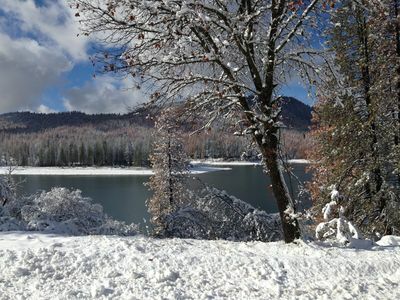 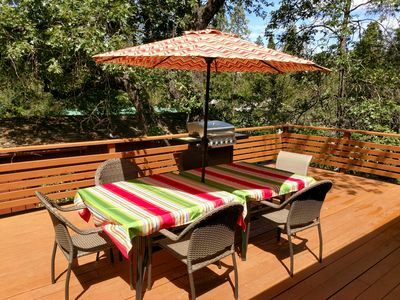 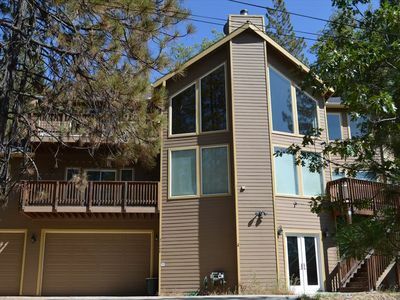 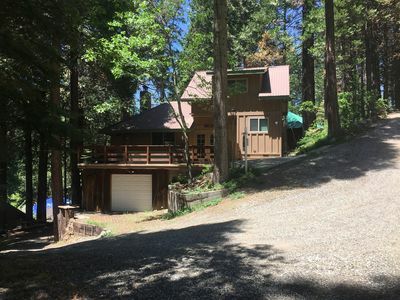 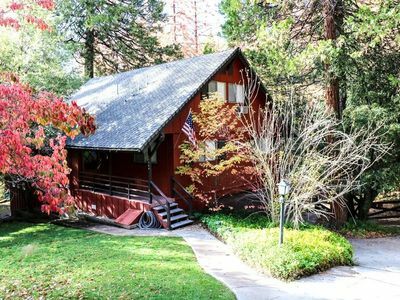 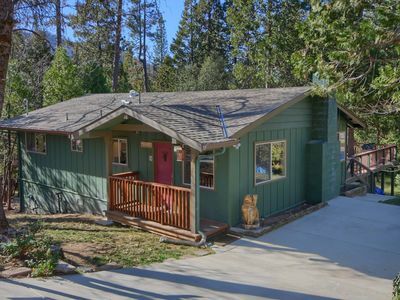 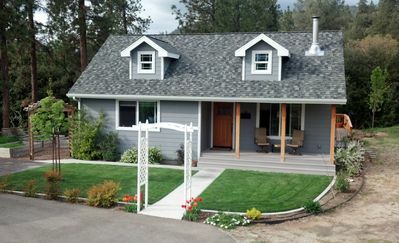 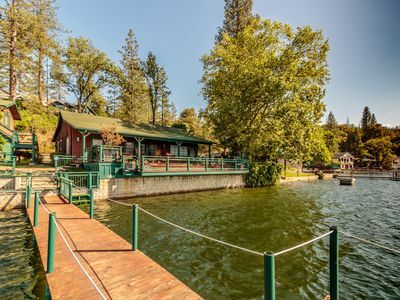 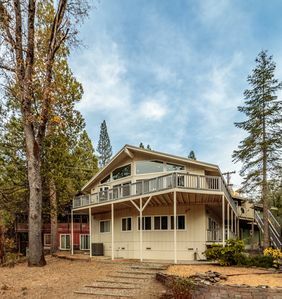 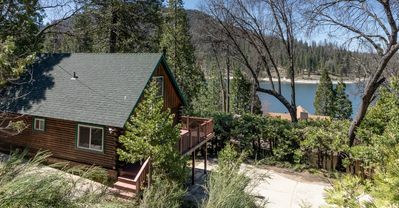 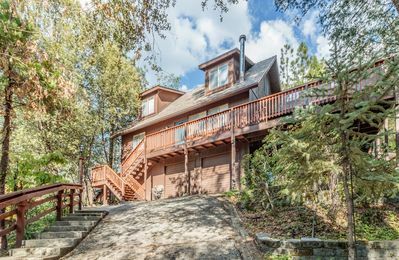 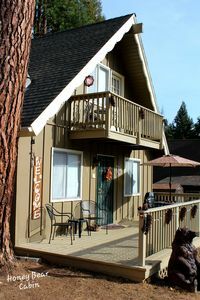 Beautiful Bass Lake Lodge Sleeps 12 with Lake Views & Near Yosemite!